The 2014 National Survey on Drug Use and Health found that approximately 10 percent of Americans, or 27 million people, used an illicit drug within 30 days prior to taking the survey. Though some substances are more addictive than others, even infrequent drug use can lead to dependence and eventually addiction. The most addictive drugs are heroin, alcohol, cocaine, and barbiturates. Heroin addiction is scary because every time individuals use, they run the risk of overdosing; however, it is also treatable. Heroin is an opiate that is derived from morphine. According to the National Institute on Drug Abuse (NIDA), it elicits a reaction by binding to and activating mu-opioid receptors (MOR) in the brain. MORs stimulate the release of dopamine, which results in feelings of pleasure. Heroin is so addictive because its effects come on quickly and result in a powerful high that overwhelms the entire body. The brain remembers these effects, which leads to intense cravings for more heroin. NIDA estimates that 23 percent of people who use heroin become dependent on it. Ultimately, anyone can develop an addiction to heroin, but there are some trends in recent years. In an analysis published in JAMA Psychiatry, researchers found that 90 percent of respondents who started using heroin in the last decade were white. Heroin use has shifted from an inner-city, minority-central problem to one that primarily involves white men and women in their late 20s who live outside urban areas. Though heroin withdrawal is rarely fatal, it is painful, and experts do not recommend that individuals attempt to quit heroin on their own. The risk of relapsing during withdrawal is incredibly high, but in a medical detox program, clients will have access to medication that eases the most painful symptoms of withdrawal, and they will not have access to heroin. Treatment options for heroin abuse include medication and behavioral therapy, and many clients opt for a combination of the two. Alcohol is a depressant, meaning it slows down vital functions of the body; however, the amount of alcohol consumed is what ultimately determines how it affects an individual. For example, many people have a few drinks so they can experience lowered inhibitions, relaxation, and even feelings of happiness. When people consume alcohol in excess though, it can lead to confusion, slowed breathing, and unconsciousness. Alcohol is so addictive because it triggers the release of endorphins. According to the National Institute on Alcohol Abuse and Alcoholism (NIAAA), drinking alcohol regularly can actually change the chemistry of the brain, resulting in dependence. 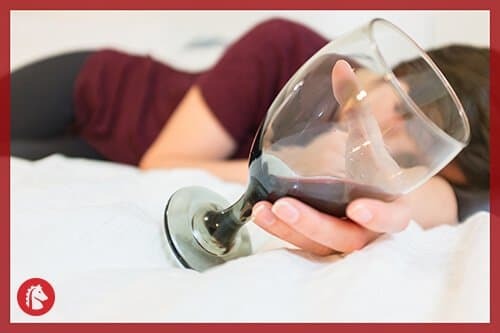 When individuals are dependent on alcohol, they cannot stop drinking without experiencing withdrawal symptoms, and these symptoms usually prompt them to drink again. Alcoholism occurs when individuals develop a dependence on alcohol and seek it compulsively despite the negative consequences that may arise. NIAAA reports that in 2014, 16.3 million adults had an alcohol use disorder but only 1.5 million adults received treatment for one at a specialized facility. Genetics: Individuals with parents who struggled with alcoholism are more likely to suffer from the disease themselves than those who do not. Mental illnesses: People who suffer from certain mental illnesses, including anxiety, depression, and mood disorders, are more prone to developing an addiction to alcohol. Early use: The earlier people start drinking, the more likely they are to abuse alcohol over time. Social pressure: People who live or work around others who abuse alcohol are more likely to begin abusing it themselves. Trauma in childhood: Abuse or neglect can change brain chemistry, making people more vulnerable to developing an addiction as an adult. Alcoholism is treatable, but it must be identified first. Some warning signs of alcohol abuse include lying about drinking, blacking out regularly, failing to stop once starting drinking, neglecting responsibilities, and struggling to maintain relationships. There are a variety of treatment options for people who want to stop drinking, and they range from various types of group and individual therapies to medication. When it comes to quitting drinking for good, having a solid support structure in place is critical for continued sobriety. Those who are addicted to alcohol should never attempt to quit drinking on their own; medical detox is required, and comprehensive treatment should follow. Cocaine is a stimulant that increases the production of dopamine in the brain. Like heroin and alcohol, cocaine is incredibly addictive because of the way it changes the chemistry of the brain over time. These changes make users crave cocaine consistently, leading to a dangerously addictive cycle of highs and lows. 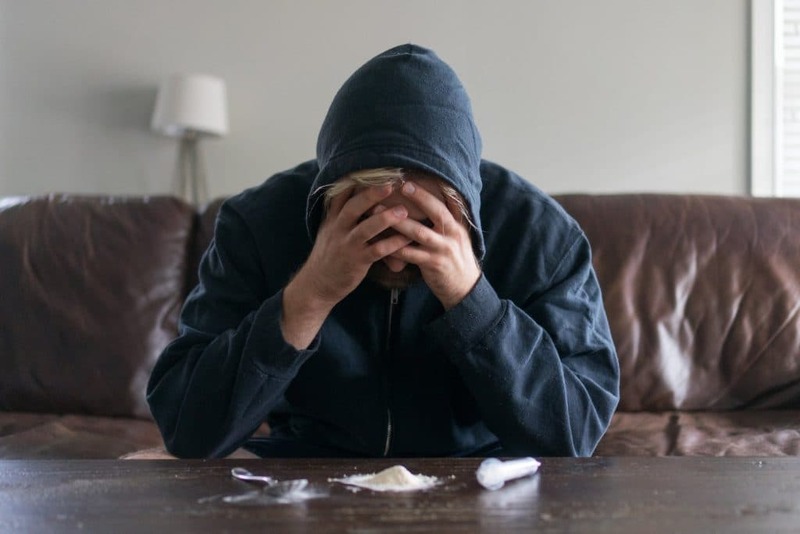 Individuals can build up a tolerance to cocaine quickly, and a powerful psychological dependence usually follows, which eventually leads to addiction. According to the Substance Abuse and Mental Health Services Administration (SAMHSA), there were 1.5 million cocaine users in 2013. In addition, NIDA reports that the number of fatal cocaine overdoses increased 42 percent from 2001 to 2014. Cocaine addiction is dangerous, but it is never too late to enter treatment. Like all addictions, cocaine addiction starts with dependence; however, unlike other addictions, it often begins with a psychological dependence rather than a physical one. Physical dependence occurs when the brain registers its altered state on cocaine as its natural state. When dopamine levels drop to what used to be normal levels, the individual will experience withdrawal symptoms. Psychological dependence, on the other hand, can develop fairly early on, and it is characterized by intense cravings for cocaine and the inability to cope without it. Cocaine has both short and long-term negative effects from continued use, so users should seek treatment as soon as possible. Treatment for cocaine addiction starts with medical detox, during which the brain readjusts to life without excessive dopamine. While cocaine withdrawal doesn’t generally involve intense physical symptoms, the psychological symptoms of withdrawal can be intense. People can find success in various types of therapy following medical detox. During therapy, they will learn how to cope without cocaine and develop plans to deal with potential triggers that may make them want to use cocaine again in the future. Barbiturates are a group of drugs in the sedative-hypnotic class. They work by enhancing the effects of GABA, a neurotransmitter, in the brain, which serves to promote relaxation. Barbiturates were originally developed to help individuals suffering from sleep disorders and anxiety, but physicians stopped using them after realizing how addictive and dangerous they can be. Barbiturate addiction is dangerous for two reasons: The difference between a normal dose and a fatal dose is incredibly small, and according to the U.S. National Library of Medicine, the withdrawal symptoms of stopping barbiturates can be life-threatening. The Drug Abuse Warning Network reports that in 2011, there were more than 18,000 emergency room visits related to barbiturates. Signs of barbiturate abuse include extreme sleepiness, poor coordination, and shallow breathing. If a loved one is abusing barbiturates, it is critical to seek help as soon as possible. Treatment for barbiturate addiction is closely monitored by medical professionals starting with the medical detox phase because the withdrawal symptoms can be severe. People going through barbiturate withdrawal may experience tremors, hallucinations, seizures, psychosis, and hyperthermia. Following medical detox, clients typically enter a treatment program that involves therapy and medication. According to NIDA, counseling can help greatly. Cognitive Behavioral Therapy has shown promise for treating benzodiazepine addiction and may help those trying to quit barbiturates as well.